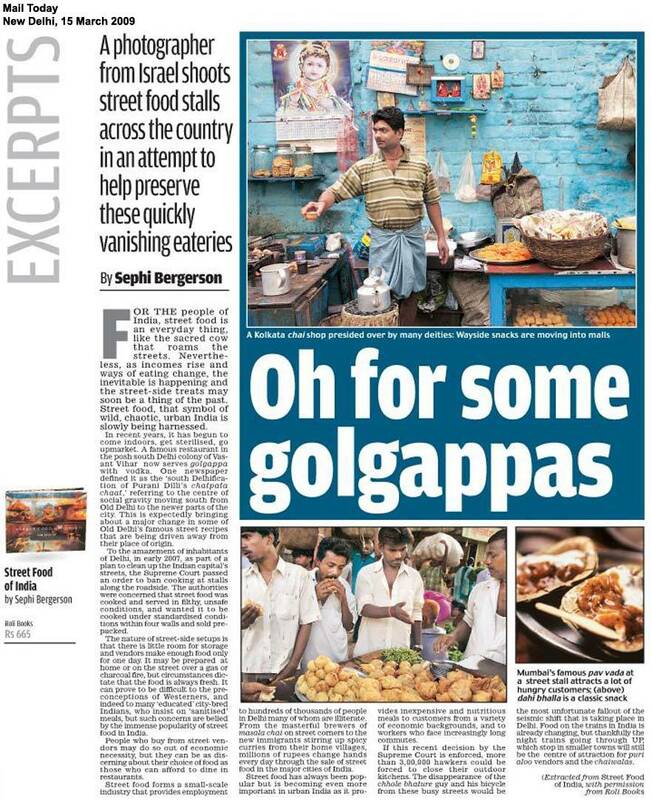 My book ‘Street Food of India’ came out in the right time when people are starting to realize that this phenomenon, so much a part of daily life in India, might not look the same way forever. For the people of India, street food is an every day thing, like the sacred cow that roams the streets. Nevertheless, as incomes rise and ways of eating change, the inevitable is happening and the street-side treats may soon be a thing of the past. Street food, that symbol of wild, chaotic, urban India, is slowly being harnessed. And see ‘Mail Today’ on 03/15/2009 (see picture).